Largs Online.co.uk - The most comprehensive site on the web for Largs, Ayrshire, Scotland - Tourism and Community - Things to do, places to stay, and lots more ! Largs Online.co.uk is the most comprehensive online guide to Largs, Ayrshire Scotland. We pride ourselves on providing over 200 pages of information about Largs and Ayrshire; Largs accommodation (hotels, guesthouses and self catering properties), How to get here (trains, buses, ferries and car directions), Things to do for all the family, sport and leisure, historical sights to see and places to visit (parks, walks, churches), Largs marina, shops at the marina and also place to eat and drink, details on Largs pubs, restaurants, cafes and nightclubs, information for the community with Largs & Millport news, local groups and organisations, a photo gallery, details of all shops and services in Largs, planning a wedding in Largs? we feature information that might interest you! We also have a guestbook for all your comments. 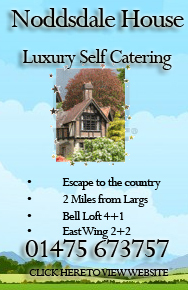 Select from the links above and begin discovering the town of Largs, situated in Ayrshire on the West Coast of Scotland. 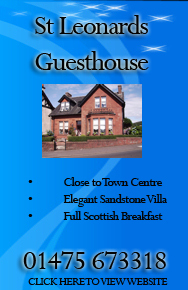 And be sure to sign our Guestbook before you leave, or send us your Largs photos for our gallery. We hope you enjoy your visit and if you need help planning your itinerary, please don't hesitate to Contact Us by following the link at the top right of the page. LargsOnline.co.uk All content � Largs Online 2009. Pencil image used above left thanks to E Dowds. With thanks to our website supporters: Allan Wilson MSP, Largs Luxury Lets self catering accommodation, Largs Sea View Apartments, Go Go Bus Scotland private hire and local tours, Greetings cards and gifts, Brisbane House Hotel Largs, Brisbane Taxis, The Woodhouse Hotel formerly Nixons Hotel, Arriva bus services, Harte Braehead Express bus service, Douglas House Self catering, 15 Kelburn Court Holiday lets, South Whittlieburn Farm caravans and camping, Haus Saron, Rutland Guesthouse, Morvern Cottage, Lennox Apartments, Lizzie's Largs Flat, Carlton Guesthouse, East Wing Noddsdale House, Escape bowling alley and Fluid bar, Kelburn Castle and Kelburn Country Centre, Scottish Sailing Institute Sport Scotland at Cumbrae, national centre, Inverclyde Sports Centre, Bean & Leaf restaurant, Bagel Basket cafe, Star of India indian cuisine, Fiddlers & Oceans Nightclubs, Largs Yacht Haven of Largs Marina, Largs Wine Haven, Largs School of Motoring, Largs Viking Festival, Brisbane Queen Festival, Largs Jazz Festival, Central Taxis, S Doolan removals, Largs & Millport Weekly News, Sugar & Spice, Prickly Bay Surf & Skate Shop, BuyItFixIt computer store, Brammer, Harte Buses, McWilliams Photography, Vinnie's Flowers, S Kennedy Florist, Personalised Scotch Whisky Company, Largs Online, Largs Online, Dip'n'Doodle Pottery painting, S Kennedy Florist, Ye Olde Anchor pub, Bon Bon Yera cafe and restaurant.